J.F.Locksmiths ~ is a 24HR Locksmiths service in Birmingham and West Midlands. We are a mobile 24HR Locksmiths covering Birmingham - Solihull - Suttoncoldfield - Tamworth - Walsall - Wolverhampton - Coventry .J.F.Locksmiths is a local business in Birmingham that has been established for over 16 Years.We are a family owned locksmiths that prides itself on carrying out the highest quality work time and time again. J.F.LOCKSMITHS~ Locked out? call the experts. We cover all aspects of lock opening and repairs as well as supplying and fitting a wide range of quality branded locks.We cater for domestic and commercial as well as insurance work. We also provide an 24HR emergency service.We also open cars. J.F.LOCKSMITHS~Covering the whole of the West Midlands. We are UPVC specialists and can provide assistance for your front door,your patio or even your window locks. 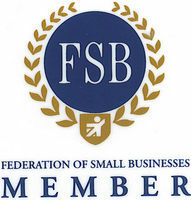 Our range of locks include 5 LEVER LOCKS to BS3621.Aluminium and Digital locks,We are also members of The Federation of Small Businesses,And THE Guild of Master Craftsmen,and are dedicated to offering only the best locksmith service.We know that you will be very satisfied with the service we provide so make sure you call J.F.LOCKSMITHS whenever you need a lock supplied fitted or replaced.